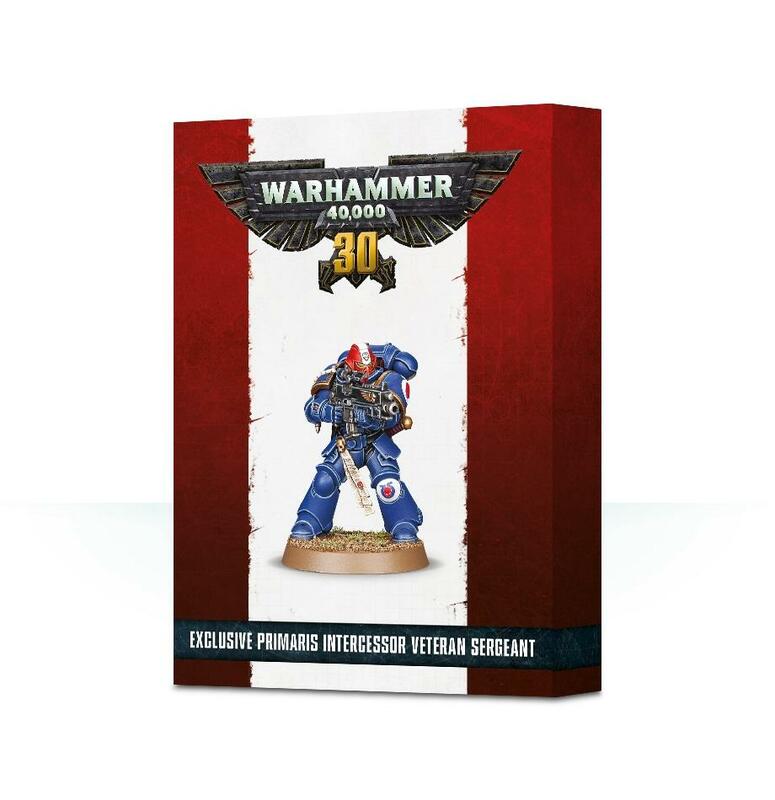 Celebrate 30 years (no, really, it has been that long) of Warhammer 40,000 with this Space Marine model – a special collector’s edition of the Primaris Intercessor Veteran Sergeant, which you can add to your Intercessor Squads in games! The Veteran Sergeant is a multi-part plastic model, featuring the same impressive levels of detail as the rest of the Primaris Space Marines – he comes armed with a bolt rifle, a holstered bolt pistol and a sword (which is supplied sheathed), and his Mk X power armour features a crux terminatus and marksman’s honour on the right shoulder. The left shoulder is blank, meaning this model can be painted to represent any Chapter you prefer. The kit features 2 variant heads, one helmeted and the other bare. The Veteran Sergeant comes as 13 components, and is supplied with a Citadel 32mm Round base and a Primaris Character transfer sheet.